AMAZING TWO BEDROOM, ONE AND A HALF BATHROOM CONCRETE BLOCK HOME SITUATED ON A BEAUTIFUL PRIVATE ROAD IN THE COUNTRY! This home has plenty to offer including pristine ceramic tile floors, rich paint colors, an open living space with room to entertain, a spacious main bathroom with spa-like features, 2 large bedrooms with roomy closets, and a nice half bathroom. The kitchen is the star of this home with it's sparkling granite tile countertops and backsplash, stainless steel appliances and view of the woods behind the home. The exterior also features a concrete block workshop with washer/dryer hookup and space for a man-cave or more storage. 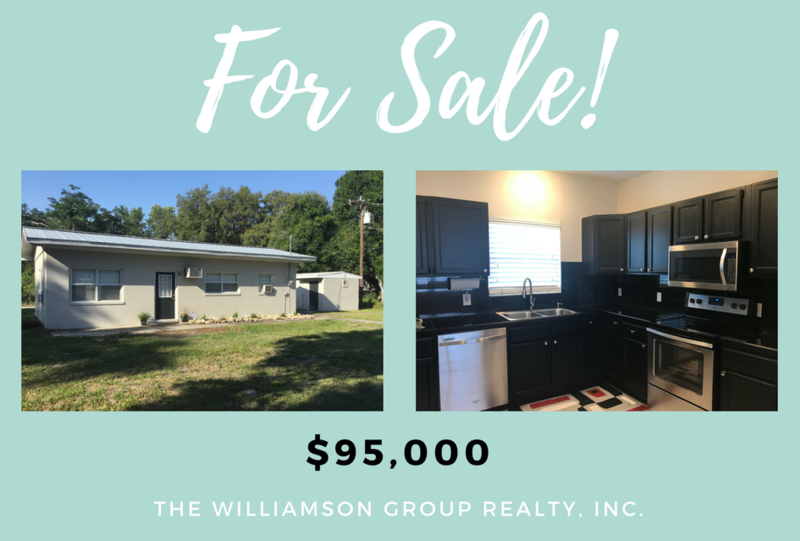 Located just minutes from shopping, restaurants, and local schools, this home is ready for it's new owner and is priced perfectly at $95,000!